Taking a trip to an unknown country can sometimes be a very frightful thing to do. But not for Jill Schindler as she traveled to Ghana, Africa for a whole week to study abroad for her college class at the beginning of June. Jill is the daughter of Dale and Renee Schindler of Elgin. She went to school at St. Boniface and Pope John when she lived in Elgin. After graduation she went to Lincoln to continue her education at the University of Nebraska-Lincoln. Through UNL, Schindler had the opportunity to study abroad through the School of Business program to go toward her 3 credit class. The country she studied abroad in was Ghana, located on the western side of the continent Africa. In this country, rice farming is a necessity as they use it towards many aspects of life. 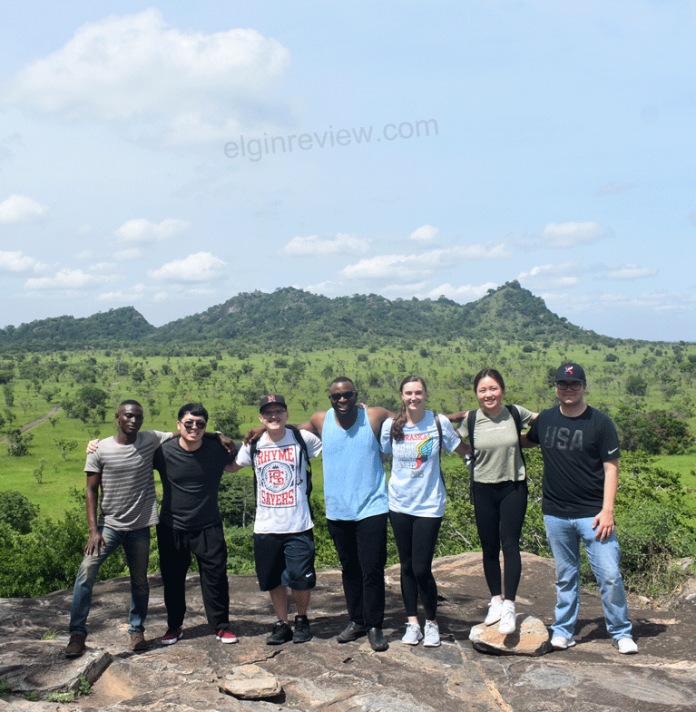 As part of her class to earn credits, Schindler and the rest of her class who opted to join her on this experience had made up a market plan for the rice farmers in the community. They learned how to use money in real life situations to better the income for the farmers. Using the money in real life, and how to manage it, was one of the experiences that Schindler thought as one of the main lessons that she could put towards future use. However, through the week she was there, Schindler had also learned many new and more important matters. One lesson in particular stood out to her the most. She had noticed the many cultural changes in Ghana compared to the United States. “Going here showed me how truly blessed we are here and that I’m thankful,” she said last week. While in Ghana, she got to meet with many different people, travel to many different places and see the differences between Ghana and Nebraska. After staying there for a week, Schindler said her favorite part of the experience was meeting new people. She said everyone she met was welcoming and very friendly. Luckily in her advantage, they were overall an english speaking community which made it much easier for her to communicate and relate to them. However, the part of the trip she disliked the most was the traffic. She explained that the area she and the rest of her class had been in had crazy traffic that was nonstop throughout the whole day. “An hour long drive could become an hour and a half long drive very quickly,” she said. But this traffic did not stop her from enjoying her trip. 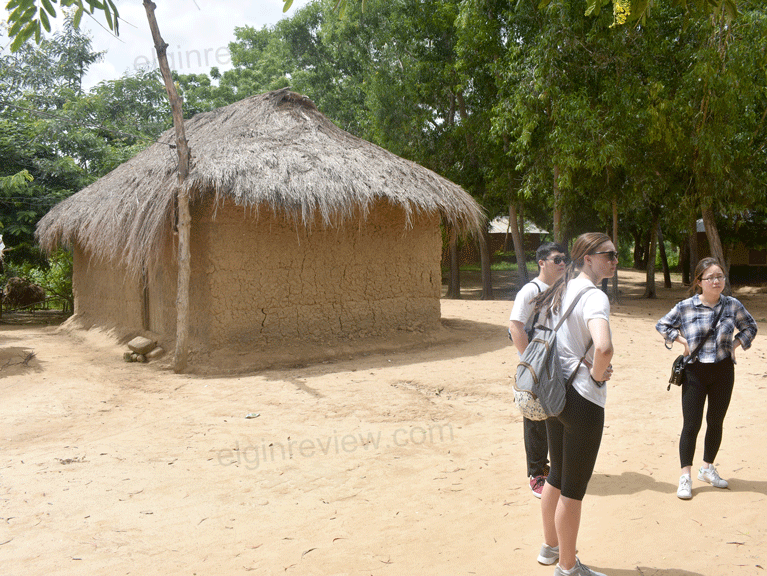 As she was there, she noticed some of the similarities between Nebraska and Ghana. It looked very similar to her as rice fields related to corn fields, the small towns looked like Elgin, and cities were busy just like Lincoln or Omaha. So it was not too big of a change for her. Overall, Schindler had an amazing experience studying abroad. She said she would do it again in a heartbeat, but maybe somewhere else. She encourages anyone who has the chance to be apart of the study abroad program to do it and become exposed to different aspects of life and culture.